When threatened species include plants containing a cancer-fighting compound, or reef-building corals that protect warm water coastal communities, the link between the fate of other species and our own cannot be denied. It is true that in nature, species come and species go. On rare occasions they even return. Just last week, a globally rare plant, Lobelia boykinii (Boykin’s lobelia), resurfaced in Delaware, a place in which it hadn’t been seen for over a century. Scientists say that species extinction occurs naturally at a “background” rate of one species per one million species per year. But add in human influences and that rate accelerates. A lot. As in 1,000 to 10,000 times. According to the United Nations Environmental Program, this translates to the loss of 150 to 200 species every 24 hours. And when threatened species include yew trees whose bark contains high concentrations of a compound used in fighting cancer, or reef-building corals that help protect warm water coastal communities from storm surges, the link between the fate of other species and our own cannot be denied. In fact, many researchers believe we are in the midst of a sixth mass extinction. As threats to biodiversity mount, so does something else: the resolve to do something about it. In this issue, we take a look at some of the people and organizations deeply involved in the protection of threatened species. In doing so, we examine our own role in the protection and regeneration of biodiversity in the face of mounting threats. Despite all of this, people around the globe continue to work to protect plants, mammals, birds, fungi, amphibians, invertebrates, and marine species from extinction. Yes, despite the doom and gloom, this year we celebrate the 50th anniversary of the IUCN Red List and the 41st anniversary of the passing of the Endangered Species Act. These landmark initiatives have prevented thousands of species from going extinct. Craig Hilton-Taylor, Head of the Red List Unit for the International Union for Conservation of Nature’s Global Species Programme, gives us a behind-the-scenes look at what goes into building and maintaining the world’s most powerful tool for conservation. To get the perspective of a national NGO, we chatted with Tierra Curry, Senior Scientist for the Center for Biodiversity and co-author of “On Time, On Target,” a recent defense of the Endangered Species Act. Jennifer Dowdell reviews the book Telling Our Way to the Sea, biologist Aaron Hirsh’s exploration of human impacts on the Sea of Cortez. 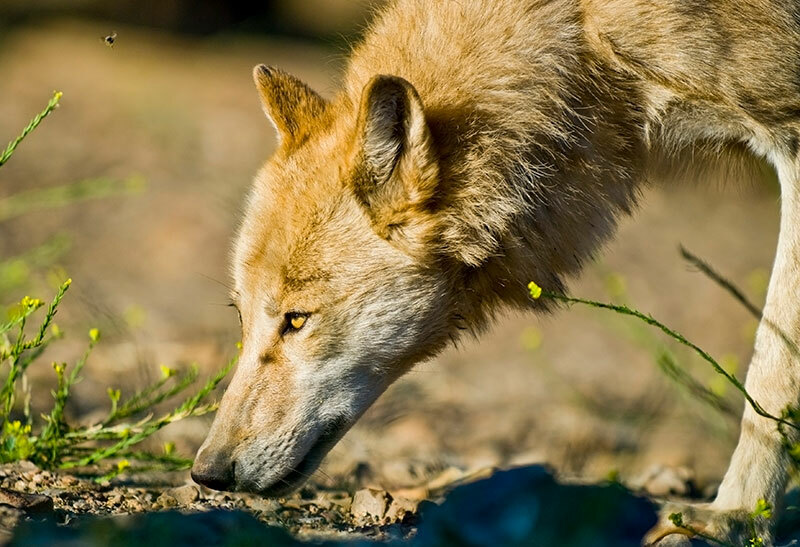 Fabien Dubas tells us about species struggling to survive in the Mediterranean Sea.We share news about two regions of the U.S. where shifts in protection have created some dangerously gray area for the gray wolf. Be sure to check out our list of resources on threatened species, catch up on the latest news at Biohabitats, and learn how you can contribute to our growing threatened species album on Facebook. When we say “tell us what you think,” we mean it! Let us know your thoughts on threatened species by commenting on our Rhizome blog .